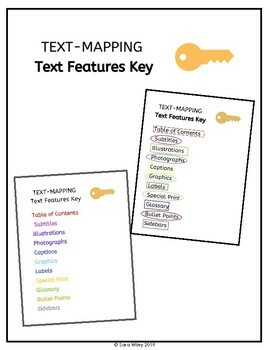 Give your students a TEXT FEATURE KEY for TEXT MAPPING activities. 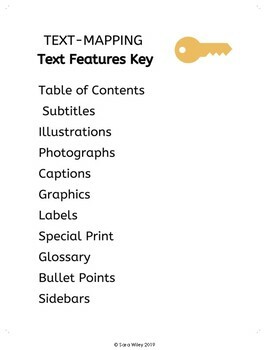 You can color-code the key to fit your needs or use the pre-coded key. 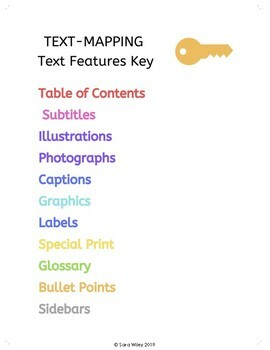 Happy text mapping!